I've been a fan of Dr. Colbert for years now, especially his perfect Illumino Brightening Masks, but lately I have been using his NYDG skin care line. Due to travel, overuse of my heater, and various treatments to reduce the appearance of my acne scars my skin feels drier than usual. Plus I have been breaking out again from stress and hormones. 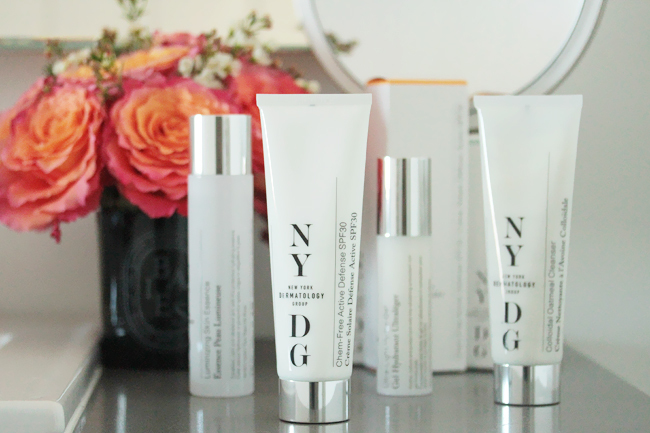 The treatments are slowly but surely helping but so are these new NYDG products! 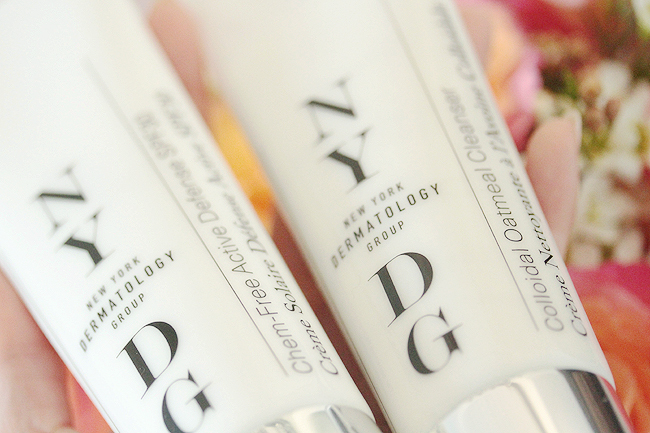 NYDG stands for New York Dermatology Group — led by David Colbert and a group of expert doctors, laser technicians and internal medicine experts. 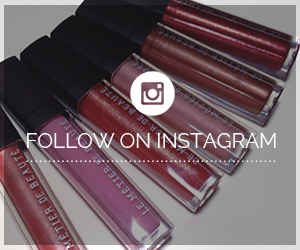 This brand offers just six extremely well edited products, so I'll start with the most basic. I switched up my cleansers to keep congestion and the control the potential spread of bacteria from extractions. The NYDG Colloidal Oatmeal Cleanser is a sink-side staple because it is one of the few foaming formulas that I can use. It gently exfoliates yet pampers my sensitive skin. This formula feels whipped and airy, not dense or thick whatsoever. This Colloidal Oatmeal Cleanser is suitable for all skin types, so if you have a partner you can share! It is a little pricey at $48, but it has completely replaced my FOREO Day Cleanser. I am a big fan of the way this oatmeal formula smells and feels, not too earthy. I use a pea-sized amount of the NYDG every morning, so I think it'll last me a few months. Even when my skin is experiencing trauma like peeling after a chemical peel or treatment, this Colloidal Oatmeal formula cleanses without stripping my skin. The Essence, however, is my favorite. I want to stockpile a lifetime of this gem in my storage closet because it is one of the best essences I have ever tried. I am keeping my eyes peeled for a deluxe-sized pump version of this bottle is released because 4 ounces is not enough. And in case you've always been curious/confused, essence is the lightest of all serums. Essences are more hydrating than toners, which are generally more cleansing/clarifying. 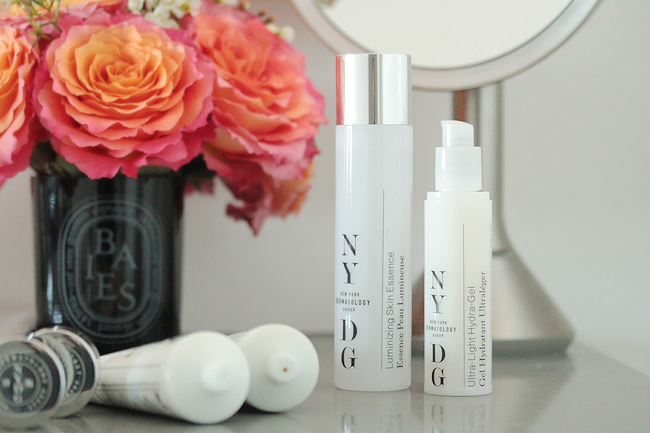 NYDG's The Essence makes my skin feel extra plump and balanced due to its thicker gel texture. After losing weight and losing baby fat over the years, the pores near my nose have become more noticeable. 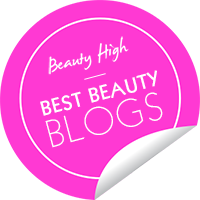 This essence helps me achieve a dewy, rehydrated complexion so that the pores aren't as visible. 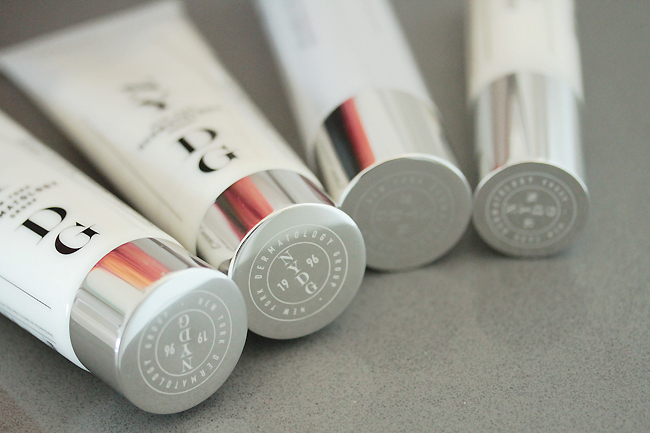 It blows SK-II's classic Facial Treatment Essence out of the water. NYDG's The Essence is obviously heavier and much more hydrating, so I use Koh Gen Do's cotton for application so that it sinks into my skin better. When I'm in the rush I skip the cotton and use my clean fingertips. Don't get this too close to your eyes, though, because it will sting a bit. 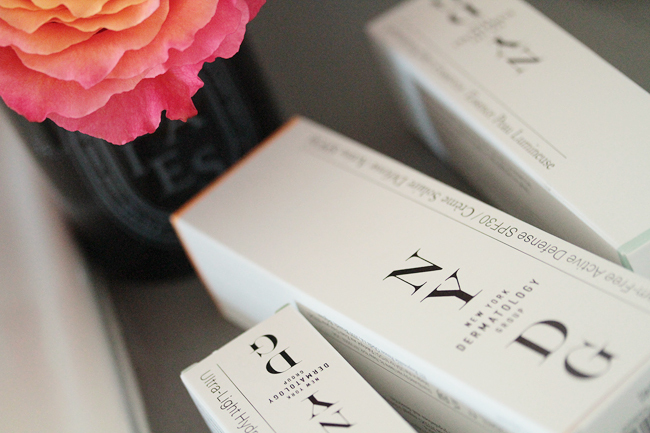 NYDG's flagship product, in my opinion, is the Chem-Free Active Defense SPF30. I have been using this daily, even when I exercise because it is water resistant for 80 minutes. Most importantly, it is super lightweight and not greasy feeling whatsoever. No white cast and no oily t-zone issues! This was the only sunscreen I brought on my Europe trip, and I also applied it in-flight on the plane when the windows were open because the UV rays are more intense. 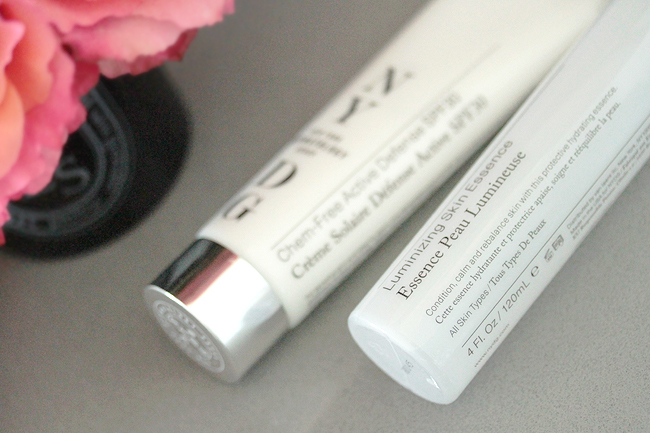 This spf formula is soothing and absorbs quickly and feels almost like a moisturizer. It does not accentuate dry patches and there are no chemicals for those who are sensitive and/or allergic to widely used sun protection ingredients! I absolutely love it and can't live without it any more. It's a very big generous bottle and the packaging of this entire brand is stylish but unisex so it's a practical gift choice for anyone in your life. I hope NYDG will release a travel-sized 3.3 oz version of this sunscreen soon! NYDG offers a few other products but my must-have pick is the Essence since it's a unique formulation. You absolutely need the Chem-Free Active Defense SPF30 (close call for second pick) and give the Colloidal Cleanser a whirl since it also works with face washing devices like the FOREO Luna!